Charmed is making some major changes. According to The Hollywood Reporter, the CW TV show will have new showrunners and a new creative direction for season two. A reboot series, the supernatural drama centers on three sisters who discover they have special abilities in the wake of their mother’s murder. The cast includes Melonie Diaz, Sarah Jeffery, Madeleine Mantock, Ser’Darius Blai, Ellen Tamaki, and Rupert Evans. Kruger and Shapiro have previously worked on Girlfriends’ Guide to Divorce, Bull, Salvation, and Necessary Roughness. What do you think? Are you watching the new Charmed? Will you watch season two? 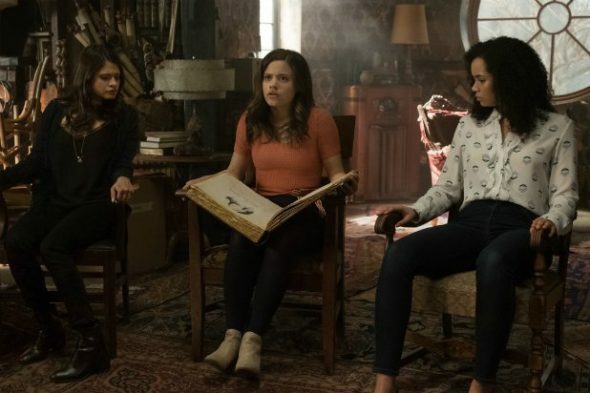 More about: Charmed (2018), Charmed (2018): canceled or renewed?, The CW TV shows: canceled or renewed? Just want to know why I cant find the New Charmed. How can I watch season 1? What i think is why mess with a good thing I love the first season and how the writers took time to introduce each character on the show. My sentiment is if it ain’t broke don’t fix it.